Recently, I spoke on the Oslo Urban Arena stage to discuss the potential of urban metabolism and the evidence-based interventions we’re working on to accelerate circular cities. Here I describes why the concept is at the heart of Metabolic’s work and how it ultimately inspired our company’s name. At any one moment, trillions of chemical reactions take place in the human body: a myriad of connections, enzymes, and processes that together make up our human metabolism. You might recognize this concept from health and fitness clickbait headlines that promise things like: “10 easy ways to increase your metabolism”, “7 daily habits that can boost your metabolism to burn fat,” or “the 6 sneakiest ways to kickstart your metabolism and lose weight”. In fact, your metabolism is related to much more than how you process food. It encompasses all of the body’s chemical processes and the elimination of waste. Now, these processes are providing the inspiration for another complex system: the city. At Metabolic, we think there’s a lot our cities can learn from natural systems such as human bodies. And as you might have guessed, the concept also inspired our name. Imagine it this way: if you want to be healthier, perhaps you want to gain muscle or lose weight, what’s the first thing you do? You look at what’s going into your body. Calories in, calories out. You can perform a similar diagnostic on cities. We look at cities through a “Metabolic” lens that brings into focus a new framework through which to model urban flows: urban metabolism. 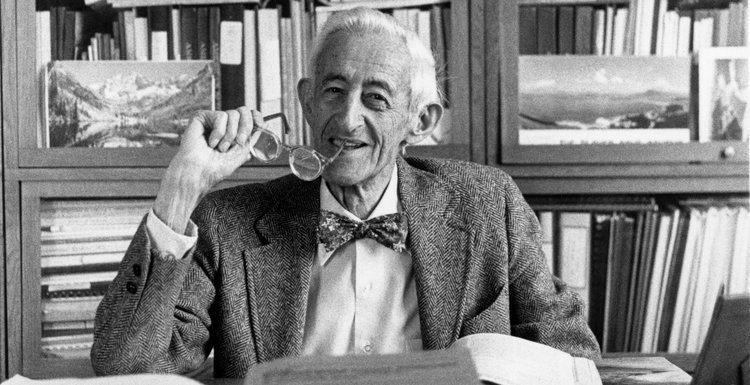 Nobody coined “the metabolism of the city” quite like American sanitation engineer Abel Wolman. Like human bodies, cities require resources to function. They import or stock up on what they need, consume the resource, and then dispose of what is left over in the form of different types of waste. But one widely accepted definition of urban metabolism does not (yet) exist. Over the course of several generations, different disciplines and schools of thought have used this term to frame a range of findings. Perhaps the first person to do so was Karl Marx, who as early as the 19th century was employing this term to describe how humans were extracting materials and altering natural landscapes in unprecedented ways. Marx observed that humans were in the process of colonizing nature and rapidly “metabolizing” its resources. Ernest Burgess followed in 1925 with the concentric zone model, one of the earliest theoretical models to explain urban social structures. He described urban land use in a set of concentric circles expanding from downtown (the beating heart) to the suburbs (the outer appendages). His model assumes a relationship between the socio-economic status (mainly related to income) of households, and their distance from the center of the city. Burgess called this spatial distribution of social groups “the metabolism of a city”. But nobody coined “the metabolism of the city” quite like American sanitation engineer Abel Wolman. In 1965, Wolman, who had already gained international fame for another urban staple (chlorinated drinking water), published his seminal work on urban metabolism. In it, he imagined a city of one million inhabitants and defined its metabolism as all materials and commodities needed to sustain the city’s people at home, work, and play. In the following decade, Wolman inspired several scholars to apply the concept to existing cities across the world, Brussels and Hong Kong being the first. Then, silence – from the 1980s to the early 2000s there were virtually no papers published on urban metabolism. The reason for this can be hotly debated, but I believe that after the concept’s initial allure, academics realized just how difficult it was to get an accurate snapshot of a city’s metabolism. In that time we were only on the cusp of the dot-com era, unknowingly walking into the information revolution. In recent years, urban metabolism has been staging a strong comeback. And while the interest – both academic and political – in sustainable cities has grown exponentially, I think the driving factor behind the recent resurgence is the increasing availability of data. Not just data, but good data – particularly in cities that have made this a priority. Post–2005, we began to digitize just about every aspect of city life: transport, energy, water, ecosystem services, civic engagement, sanitation, and air quality. We saw the emergence of the “smart city”－ in stark contrast to the not-so-smart ones we’d been living in before. Our lymphatic system, the network of tissues and organs that help rid the body of toxins, waste, and other unwanted materials, and also supplies white blood cells. Not unlike our first responders – think of paramedics offering medical aid in emergencies, or police officers protecting the city from harm. Our circulatory system, which permits blood to circulate and transport nutrients, oxygen, hormones and blood cells. This works much like a city’s gas and water utilities, supplying the necessities where they are needed most. Our respiratory system takes in oxygen and expels CO2, a similar – if inverted – process to how urban parks, trees and gardens provide us with healthy living environments and fresh oxygen to breathe. Our skeletal system, the framework on which we are all built, works similarly to our zoning plans and the way we construct our buildings and neighborhoods. Our digestive system, which takes in food, extracts nutrients, and expels the rest as waste– not unlike the recycling and waste departments of our cities, picking up what people leave on the curb, reusing and recycling what they can, and disposing of the rest as waste. I could go on – trillions of chemical reactions are taking place at any one moment, after all – but I think I’ve made my point. Urban metabolism is not only a powerful metaphor for better understanding our urban systems, but also the fundamental framework we need for accelerating the transition to sustainable cities. In the last couple of decades, the fields of nutrition, medicine, and public health have increasingly come to a consensus on what’s needed for a healthy body: get at least eight hours of sleep every night and 30 minutes of physical exercise every day, eat a well-rounded diet, and limit your stress as much as possible. Just as the medical community have been able define these parameters for a healthy body, Metabolic was curious to find out if we could do the same for a healthy city. And for us, a healthy city is one that follows the principles of a circular economy. A circular economy, and therefore a circular city, is one that is “regenerative and waste-free by design.” In a circular economy, materials are cycled at high quality, all energy is derived from renewable or otherwise sustainable sources, and natural and human capital are structurally supported rather than degraded through economic activities. Though it may appear that the primary focus of this philosophy is on material recycling and the energy transition, achieving a circular economy requires systemic redesign of our modern industrial system with a great deal of focus on how it relates to both ecological and human capital. And just like in a human body, it is imperative all these systems work together in harmony. At Metabolic, we’ve mapped out and analyzed countless urban metabolisms, like our recent work with cities like Rotterdam and Charlotte. Although it may be called “urban” metabolism, this concept can apply to much more than just cities. Essentially, if you can define a system’s boundaries, you can map its metabolism. Of course, some are easier to define than others. Take islands, for example. In 2017 we had the opportunity to map out the metabolism of Vlieland, the smallest inhabited island of the Dutch Wadden Islands. The energy transition on the island is well underway, and therefore it was time for Vlieland to move beyond energy and emissions and tackle its next challenge: the transition to a circular economy. The boundaries for this baseline assessment were easy to set: the island is surrounded by water and the only thoroughfare for goods (and waste) is through the island’s ferry. This is in stark contrast to most cities, where goods can be transported by bikes, vans, boats, trains, and planes. Just imagine the metabolic chaos once drone delivery takes off! As the world begins to grasp circular economics, we will also need to open up opportunities for the rapid prototyping of new innovations. Similar to a scientist who must perform clinical trials of new pharmaceuticals in closed – and controlled – environments, circular economists must do the same with circular interventions. Festivals, with their fenced-off boundaries and temporary nature, are the perfect closed ecosystems for this type of experimentation. Often, they can serve as a model organism for cities to learn from. In a short amount of time they must provide all of human’s basic needs: sanitation, food, shelter, and waste disposal, just to name a few. Starting small, on a festival scale, could bring about the insights needed to further research, experiment, and improve the most promising of circular interventions. For the last two years, we have measured all the materials coming in and out of world-renowned electronic music festival, DGTL, which welcomes some 30,000 visitors to the NDSM-Docklands in Amsterdam North. The metabolism maps created each year have provided granular evidence to show which of the festival’s sustainability interventions are working, so that future inputs can be fine-tuned. When it comes to sustainability, organisations often don’t know where to start. Urban metabolism can help by being the diagnostic tool to identify where we can have the greatest impact, for the smallest amount of effort. When your body’s metabolism isn’t functioning correctly, you go to the doctor. But if you want to fix the metabolism of your city, event or organization – that’s where we come in. Originally published at www.metabolic.nl on November 20, 2018. To find out more about Metabolic’s work on urban metabolism, take a look at the Metabolism of DGTL 2018, Circular Charlotte, or email me here.